Whenever I have to go out for the day, whether it’s for business or pleasure I plan to take a packed lunch with me. This is a crucial money-saving tactic, as you can easily spend £3.50 – £5.00 on lunch, even just a bog-standard sandwich! It’s easy to purchase an insulated lunch bag and a couple of mini ice packs, so you can store your lunch safely, regardless of whether you’re out and about or not. Another great tip is to take a thermos flask with you, so you can save another £3.50 or so on a hot drink. If you think you’re going to succumb to a sweet treat, mid-afternoon – then pack one! It’s far cheaper to buy a multi-pack of chocolate bars than it is to purchase them singly, either from a shop or a vending machine. So I dutifully did all of the above and set out on my journey. Imagine my frustration and dismay when I arrived at my destination, to find I’d left the lot on the kitchen counter! The best laid plans and all that. So I ended up having to purchase items in a corner shop anyway! This was even more frustrating, as I had to break my own zero waste rules as you cannot buy anything ready-to-eat unpackaged here, except for fruit. I blame my forgetfulness on a phone call that I received just as I was picking all my belongings up to leave. That interruption cost me dearly, in every sense. Still the other beauty of a packed lunch is you can always eat it later or the next day! 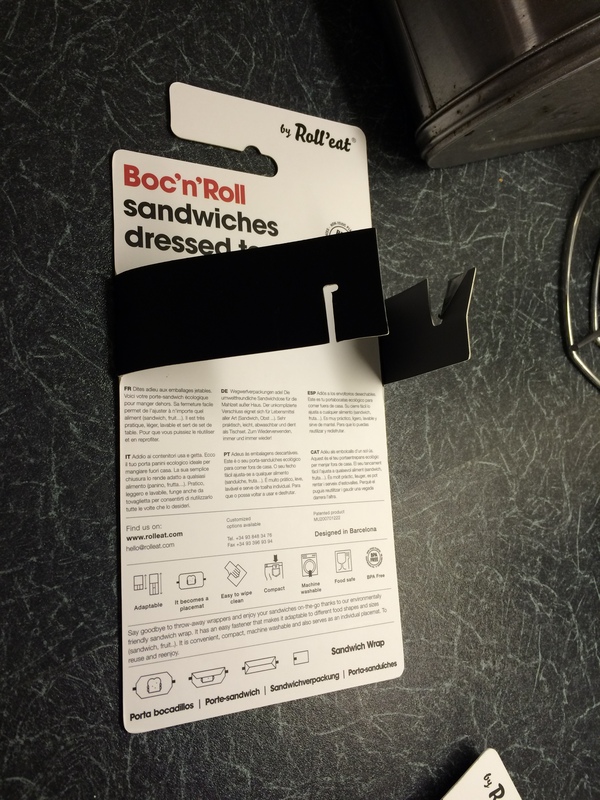 Unfortunately my sandwich hadn’t remained cool, despite the cool pack I’d used – too many hours had passed, so I had to bin that. However, everything else was ambient and I just had it for my tea instead! Have you had any money-saving fails? 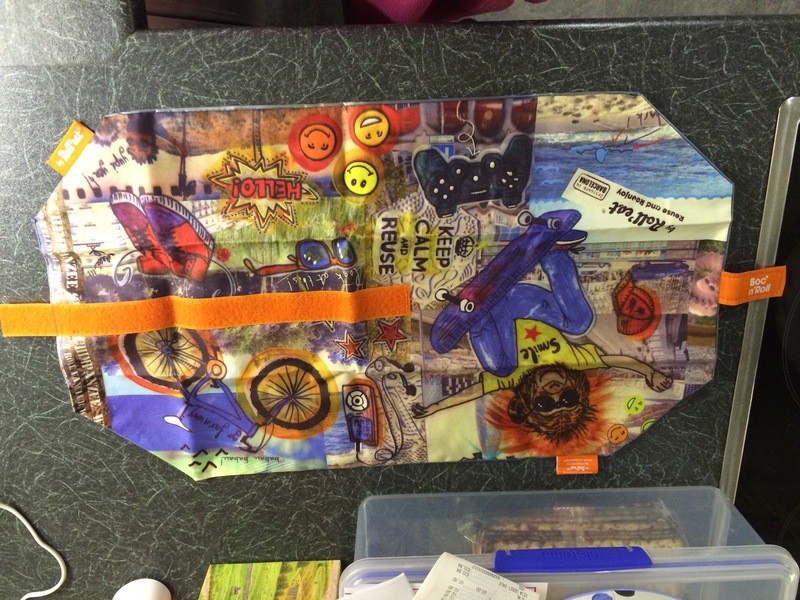 I’ve been trying out different ideas to wrap sandwiches in lunch boxes that didn’t involve clingfilm. Sure there’s baking parchment or foil, but those are still wasteful, if not more easily recycled. I tried using napkins but it seemed like everything stuck to them- especially if you are using seeded bread. Even after 4 times through the washing machine, I could not get them clean! Hardly environmentally friendly. I’ve been reading about beeswax cloths and thinking about making my own sandwich wraps from oilcloth or similar, which would be wipe clean. The problem was I suspected that much of the cloth available to me was actually PVC wipe clean table cloth material, so plastic basically! There is also the problem of me getting round to making them, since I am a novice on the sewing machine and I never seem to find the time. 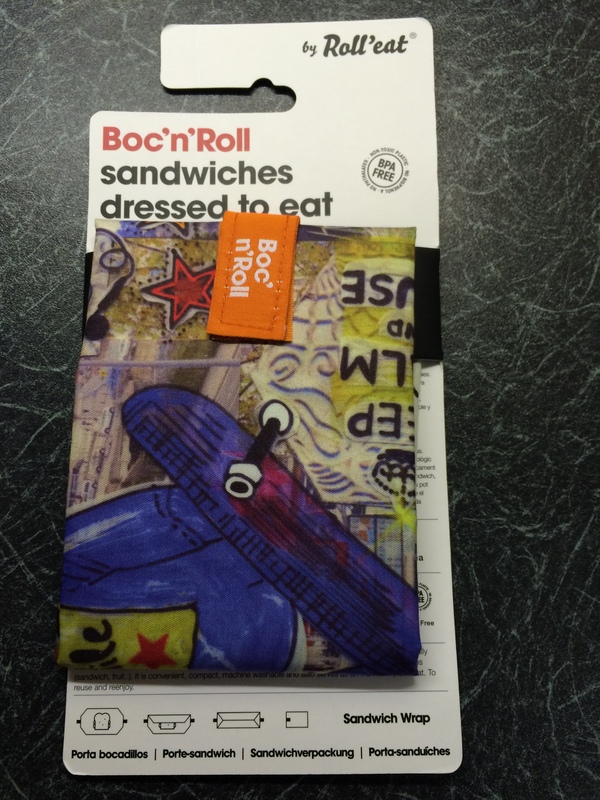 Then I spotted these funky monkey Boc’N Roll sandwich wraps by rolleat. These are similar: Boc’N Roll Light Green . They were in the sale at Lakeland (sadly now sold out!) and at only £3.99 each reduced from £9.99 each, they were basically a no-brainer. I ordered two and we have been pleasantly surprised by how easy to use they are. Thank goodness they come with pictorial instructions, as the written English ones are a little lacking (this being a Spanish designed and made product). You simply put your sandwiches in the middle, fold in the sides and wrap over the ends- just like wrapping a parcel! Only this one fastens with velcro. Now, I suspect that this product is ultimately largely made of plastic- it has a wipe clean surface, a nylon outer and velcro fastening. 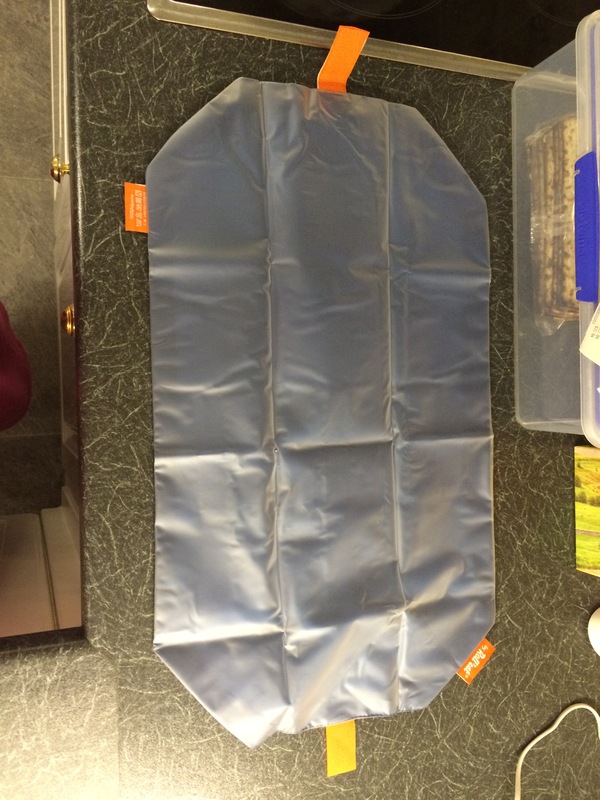 So, whilst this may not be for everybody- this should stand many years of use before wearing out and I just felt it was a more sustainable option than clingfilm. They can be wiped clean or machine washed. 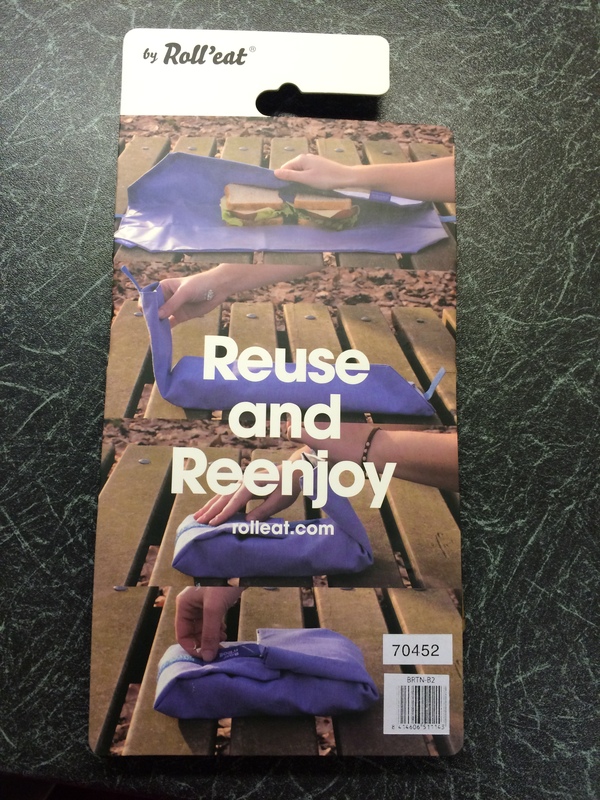 This is not a sponsored post, but you can view more at: http://rolleat.com/en/ I really like the look of their other products too- very practical. I’m not sure if they ship outside of Spain. It seems like Barcelona/ Spain is streets ahead of us in the UK- Zero Waste wise. I’m lucky that I managed to get hold of the sandwich wraps via Lakeland but they are discontinuing them 😦 Looks like this wonderful idea did not catch on here! Have you come across this range before? Do you use something similar for your lunches? Tell us more!